First, let me admit that I’m somewhat new to the nuts and bolts of sustainability reporting. 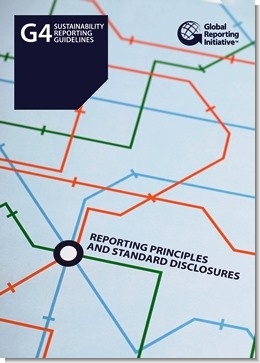 I have been researching sustainability communication and CSR reporting, but last summer I spent a couple of days at Edelman in Chicago at training for GRI reporting using the G4 guidelines. At first, I worried that the training would be too dense, and I might not find much value in it. But, I was pleasantly surprised to find that the information was extremely interesting and relevant for communication research. Here’s what I love about sustainability reporting with G4. It truly is a way to help corporations manage processes toward a sustainable economy. Unlike earlier iterations of the GRI report, G4 strips out all the fluff and really forces companies to focus on the most critical aspects of sustainability that will bring needed change. 1. Outputs are divided into three categories – economic, environment, and social – and that means companies need to report in all areas. And, that provides great stories for companies to tell. 2. More is not better. Report quality is not judged on quantity of information, so companies are encouraged to be concise but thorough. Enter communication experts who do this for a living. Providing transparent and useful information (in a concise form) is an excellent way to build credibility and communicate effectively. 3. Each item needs to be measured using an approved method of collection. And, results need to be contextualized. As our trainer said, companies need to explain if their improvements are due to a “happy accident” or to management processes that lead to planned improvement. And, on the flip side, missing a goal should be contextualized because sometimes unexpected circumstances cause companies to miss their objectives, but the cause is reasonable. This is an ethical approach to reporting and builds credibility with audiences. 4. Awards are no longer a required disclosure. That means that companies do not need to disclose them (but they are free to do it). Why? Because, bottom line, awards to do not contribute to making a company more sustainable. The criteria for some awards is not known, so it’s hard to decide if the award is an indication of an important contribution. So, the decision was made not to require them. This decision makes an interesting statement about value of awards and how some may not be rigorous and really have important meaning. 5. Ethics & Integrity disclosures are required (the Arthur W. Page Center for Integrity in Public Communication is thrilled). 6. Stakeholder engagement is new to G4 – this means more communication and more promotion. This is my favorite change because it brings sustainability reporting squarely into the communication arena, and opens up a fascinating opportunity to study stakeholder engagement in sustainability. 7. And, here is the most courageous change – in order for a company to be “in accordance” at the comprehensive level (which is the most thorough level), it must disclose the salary of its highest paid employee in a country and how that compares to the average salary in the company in that country (not including the highest paid employee). One of the goals of GRI is to fight poverty, and frankly, this is one of the most practical ways to identify income inequity. My final takeaway is that companies that adhere to the G4 standards, and specifically those who reach the comprehensive level of certification, will have an amazing story to tell and will contribute to their reputation in a meaningful way. This entry was posted in Corporate Social Responsibility, Public Relations, Sustainability and tagged Arthur W. Page Center, sustainability communication, sustainability reporting. I just read a great article on Triple Pundit about using narratives to tell a company’s sustainability story. Nicole Skibola from Centurion Consulting offers some excellent suggestions, but my favorite is to think about your audiences as actual people, not as categories. Don’t try to craft communication for “customers” or “law-makers” but rather think of specific individuals whom you are trying to reach. That will help you create a more interesting and compelling narrative for your audiences. Yes, it’s a lesson from communication 101, but sometimes we get lost when communicating about complex subjects, like sustainability. It’s good to remember that at the other end of the message is the receiver, a real person. This entry was posted in Corporate Social Responsibility, Public Relations, Sustainability and tagged public relations, strategy, sustainability, sustainability communication. Denise Sevick Bortree, whose research focuses on corporate social responsibility and sustainability communication, has been selected as director of the Arthur W. Page Center for Integrity in Public Communication at Penn State. Her appointment is effective Aug. 1, 2014. She succeeds Marie Hardin, recently named as dean of the College of Communications at Penn State. Hardin will retain her position as chair of the Page Center’s advisory board. Founded in 2004, the Page Center is dedicated to the study and development of ethics and responsibility in corporate communication and other forms of public communication. The center has awarded grants totaling more than half a million dollars to researchers from all over the world. Some of the topics they have addressed include corporate social responsibility, environmental communication, company codes of ethics, the principles of PR professionals, apologies by business firms, and ethical issues in journalism, crisis communications and social media. Bortree is well known for her scholarship on corporate social responsibility, nonprofit organization communications, social media and sustainability issues. 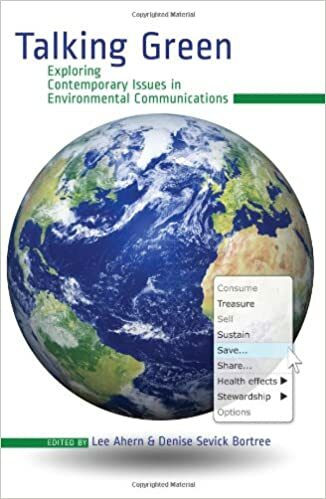 She has co-edited two books: “Ethical Practice of Social Media in Public Relations” (2014) and “Talking Green, Exploring Contemporary Issues in Environmental Communications” (2012). She has authored more than 25 peer-reviewed journal articles. In 2010, she earned the Deans’ Excellence Award for Research and Creative Accomplishments from the College of Communications. In 2013, she was selected to participate in the Scripps-Howard Leadership Academy. She is the incoming chair of the Public Relations Division of the Association for Education in Journalism and Mass Communication (AEJMC), a leading international organization. An associate professor in the Department of Advertising/Public Relations at Penn State, Bortree brought to academe more than 10 years of practical experience, including positions as a communications manager, public relations manager and marketing manager for a number of organizations. She earned two master’s degrees, in mass communications and educational psychology, from the University of Florida, and her doctorate from Florida in mass communications. Her undergraduate degree is from Geneva College. Bortree is enthusiastic about her new leadership position. The Arthur W. Page Center was created 10 years ago by three senior executives: Edward M. Block, retired senior vice president for AT&T; the late Lawrence G. Foster, retired corporate vice president for Johnson & Johnson; and the late John A. Koten, retired senior vice president for Ameritech. Foster made a significant leadership gift to establish the Page Center and served for years as chair of its advisory board before his death in 2013. The Johnson family foundations and the Robert Wood Johnson Foundation also have given substantial support. Other contributions have come from former colleagues of Robert Wood Johnson and from the AT&T Foundation on behalf of Arthur W. Page. The center is named for the man who is considered the world’s pioneer in corporate public relations. Arthur W. Page joined AT&T as a vice president in 1924 and became widely known for setting high standards for ethical communication. The legacy of Robert Wood Johnson also is a vital part of the Page Center. Like Page, Johnson was a strong and visible advocate of responsible corporate behavior. Recipients of Page Center grants are known as Page/Johnson Legacy Scholars. In addition to research, the center features an oral history collection of prominent people from the corporate communications and journalism fields. This entry was posted in Corporate Social Responsibility, Public Relations, Sustainability and tagged Arthur W. Page Center, page center, public relations. PRSA international conference is coming up later this month. Check out the session that I will be moderating on nonprofits and social media. Two experts will be speaking on the subject. Don’t miss it! Monday, Oct. 28, 10–11:15 a.m.
Katie Paine, SNCR Fellow, CEO, Paine Publishing; Richard D. Waters, Ph.D., assistant professor, School of Management, University of San Francisco; and Denise Bortree, associate professor, communications, Pennsylvania State University, will speak on current trends developing in social media communication and how to measure its impact on nonprofit organizations. They’ll delve into the use of major social media outlets and offer strategies for maximizing the effectiveness of communication and relationships through social media. Bortree is a Page Legacy Scholar and Senior Research Fellow for the Arthur W. Page Center. Before entering academia, she worked for more than 10 years in the private sector in positions including public relations manager and marketing manager. Paine, Fellow PRSA, SNCR and member of IPR Measurement Commission, is the author of three books: “Measuring the Networked Nonprofit,” “Measure What Matters,” and “Measuring Public Relationships.” She writes the popular KDPaine’s Measurement Blog, and is the publisher of “The Measurement Standard,” the industry’s oldest publication dedicated entirely to measuring results. In addition to his role at the University of San Francisco, Dr. Waters is the associate editor of Case Studies in Strategic Communication, and he has published more than 60 research articles. He also consults for Fortune 500 and Philanthropy 400 organizations. This entry was posted in Nonprofit, Public Relations, Social Media and tagged nonprofits, Social Media.